Adding bleach to your washing cycle can help to remove color from white nylon fabrics. 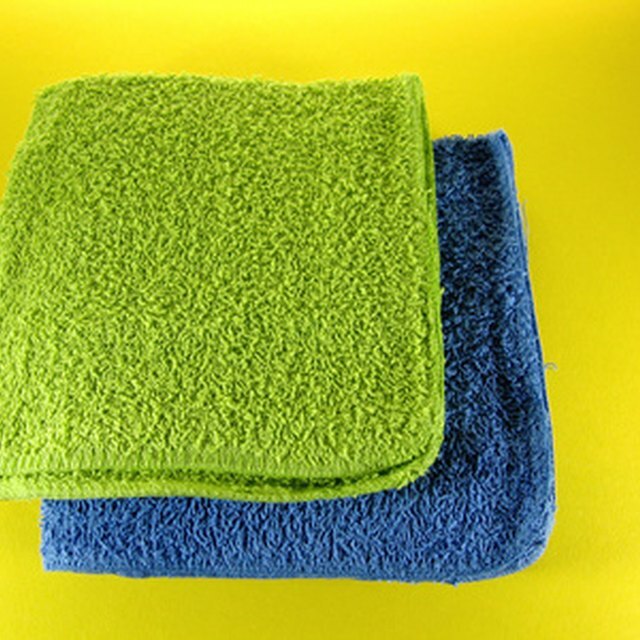 Washing nylon fabric with mild detergents can cause the fabric to discolor and yellow. If your nylon fabric has become a victim of color bleeding or dye transfer, there are two things you can do to get the color out. If you are using bleach to lift the color from nylon fabrics, it should always be diluted first. Fill your washing machine with warm water. Adjust the water level depending on your load -- if you're just washing one piece of fabric, set your water level at the lowest possible. Add 1 capful of a strong detergent. If you have hard water, add a water softener as well. Add 1/2 cup of bleach to the water, then 1/4 cup of vinegar. Place your white nylon fabric into the washing machine. Allow the machine to run its full cycle before removing. If the stain is not completely gone, repeat the steps once again. If the stain is gone, skip to Step 5. Dry regular nylon fabrics in the dryer. If the nylon fabric is delicate, such as undergarments or pantyhose, line or air dry the nylon. Purchase a color remover for colored clothing at your local fabric store. Color removers will remove color bleeding and stains from colored nylon fabrics. Fill your washing machine with warm water. Pour the entire box of powdered color remover -- typically 2 ounces -- into your washing machine. Check the instructions on the box of color remover to see if you'll need to add your laundry detergent or soda ash to the water, as well. Every color remover is different, and some brands require additional detergents to make the color remover work properly. Place your nylon garment into the water; wash as normal. 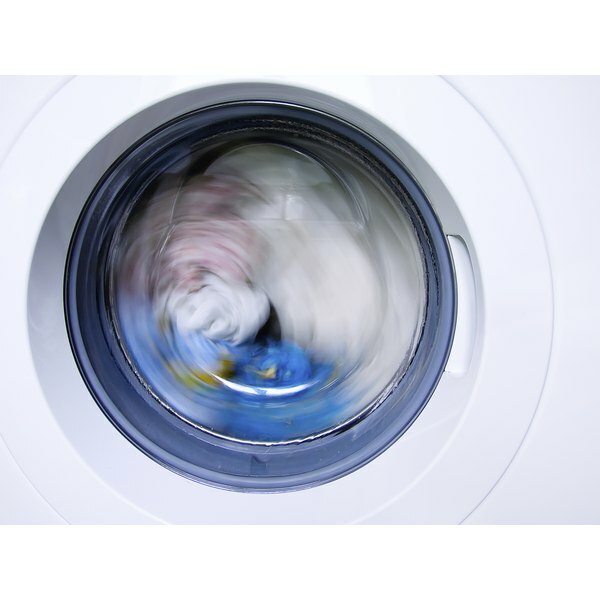 Dry the nylon garment as usual in the dryer unless the garment is delicate, such as undergarments or pantyhose.